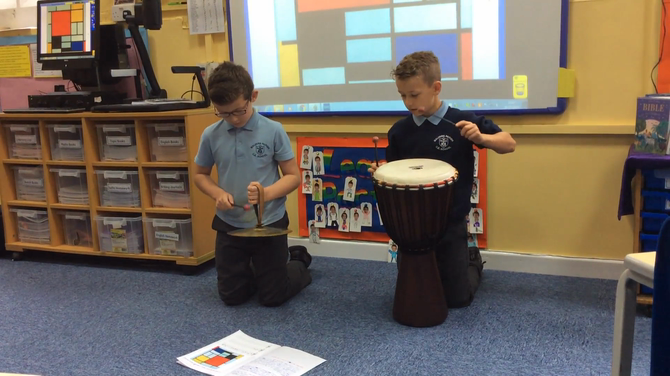 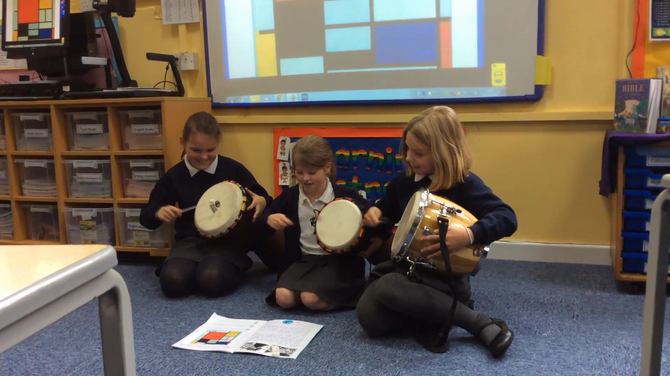 We used artist Piet Mondian's most famous piece, "Composition with Large Red Plane, Yellow Black, Grey and Blue" to inspire us to improvise rhythmic phrases. 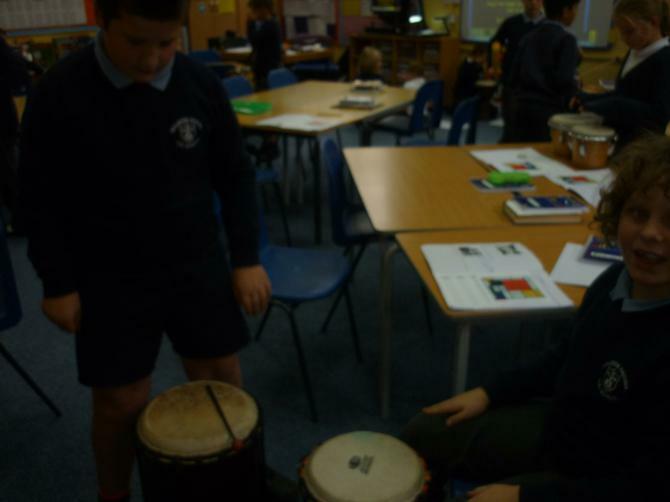 We chose a route, imaging a journey around the painting, and tried to read the image as though it was telling us how to play a rhythm. 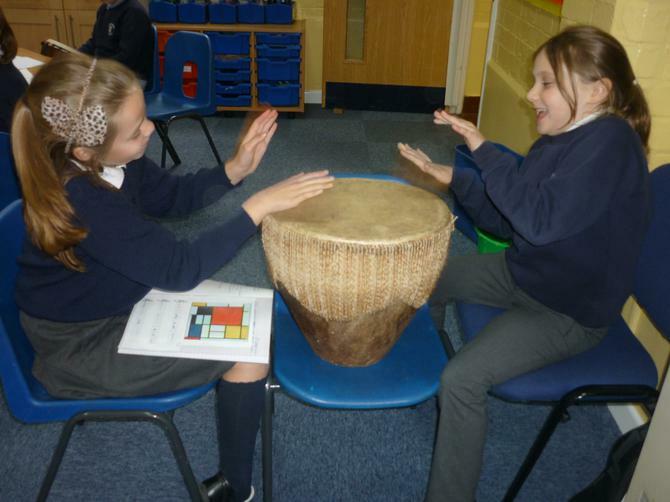 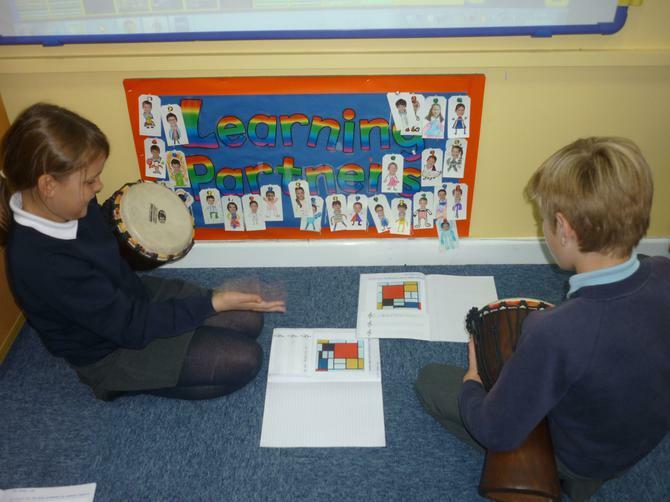 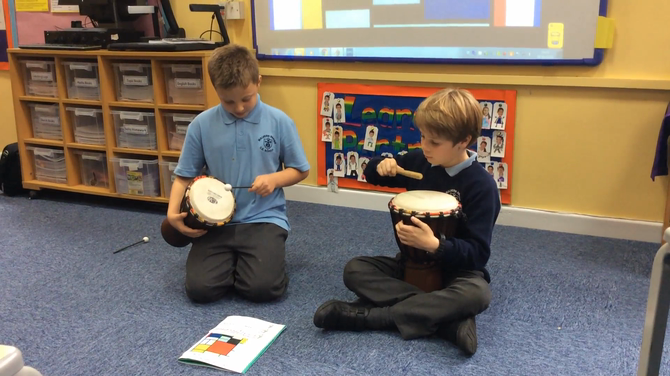 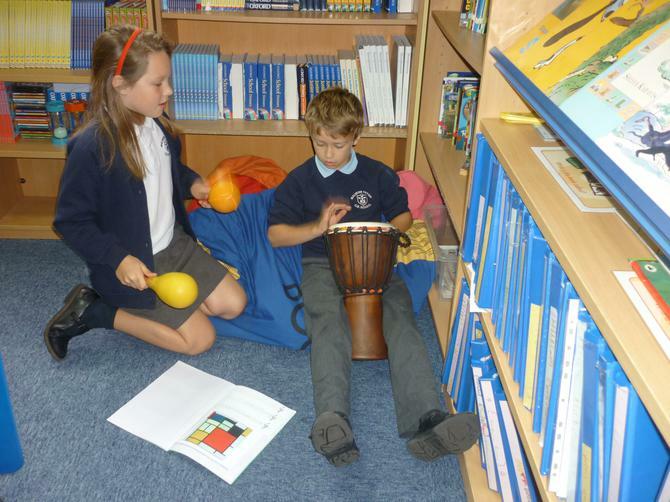 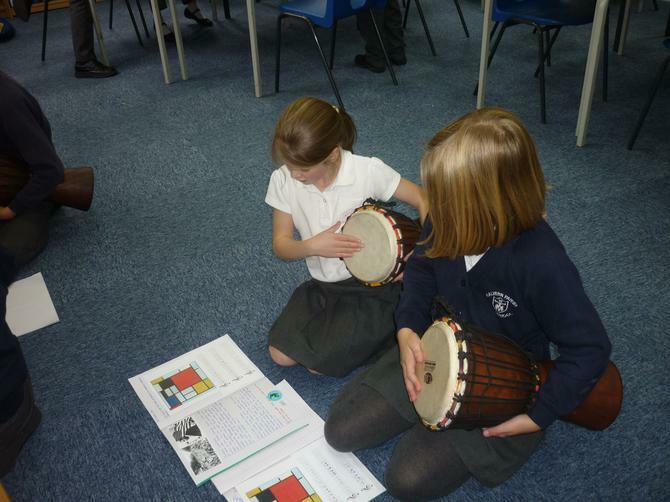 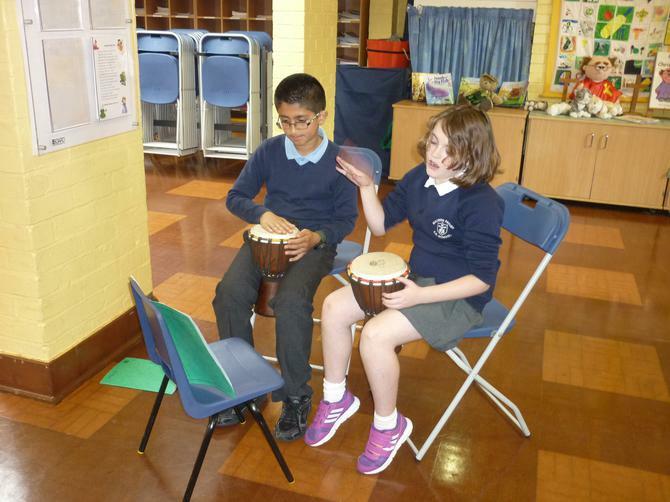 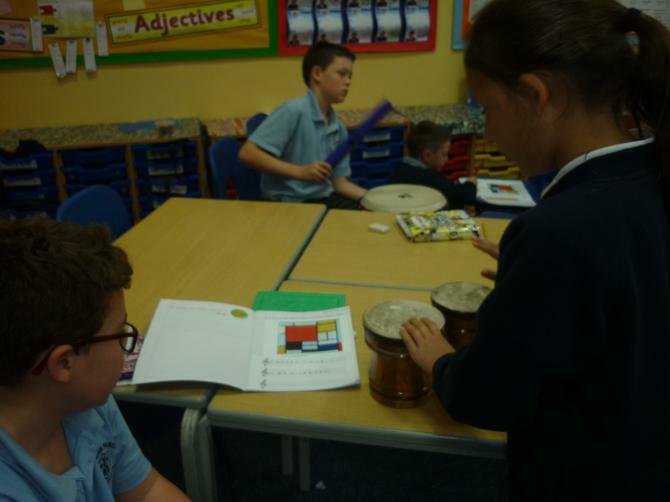 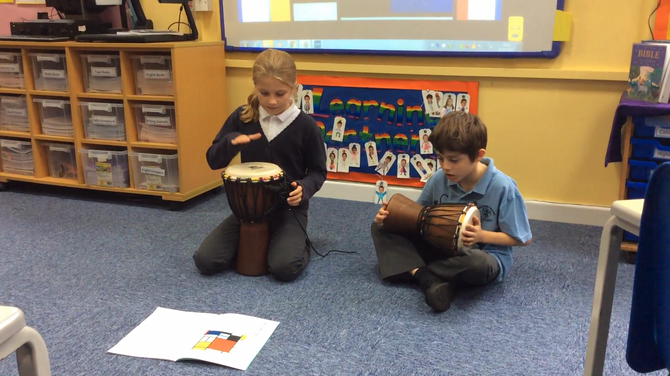 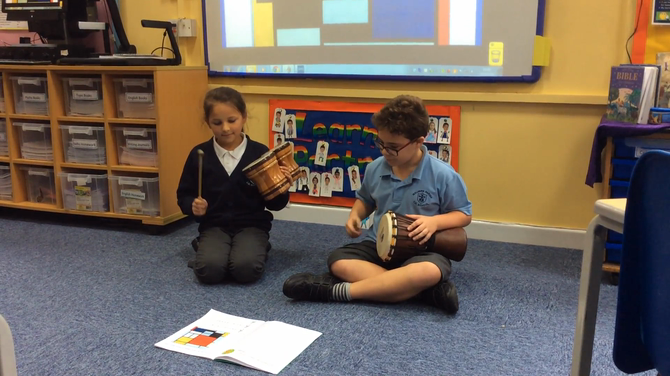 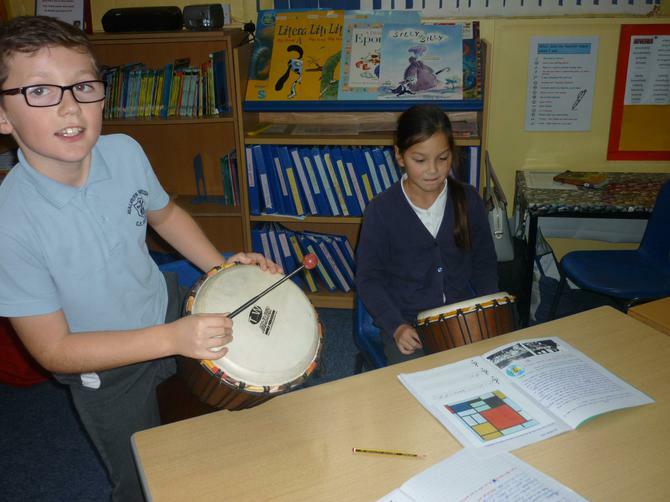 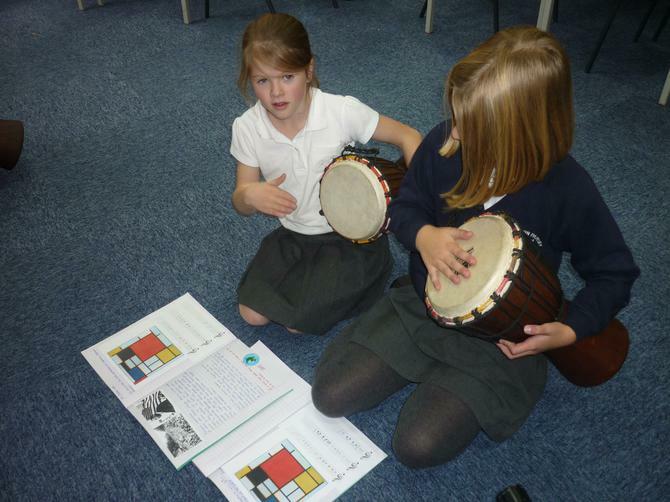 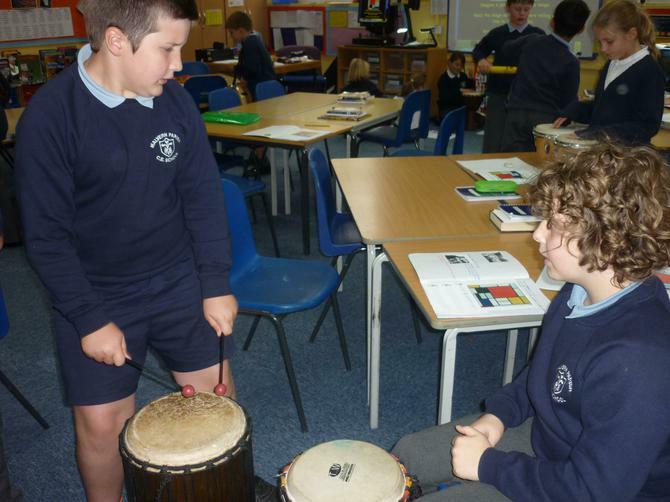 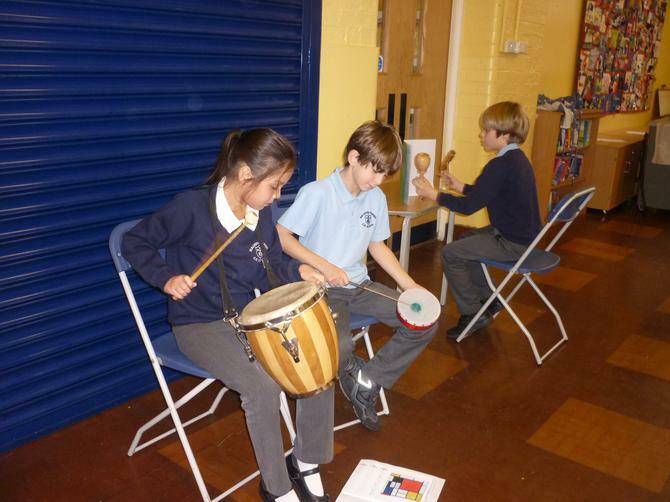 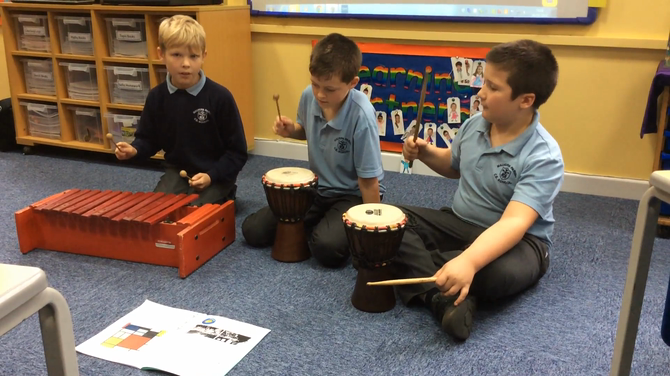 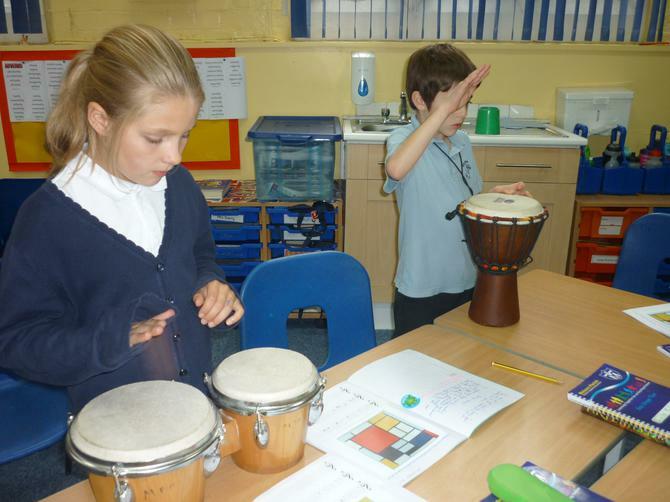 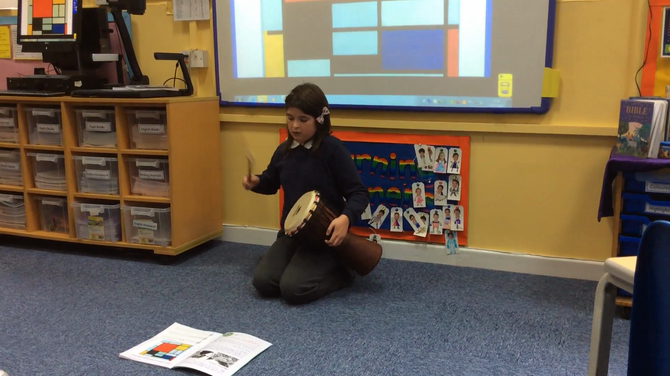 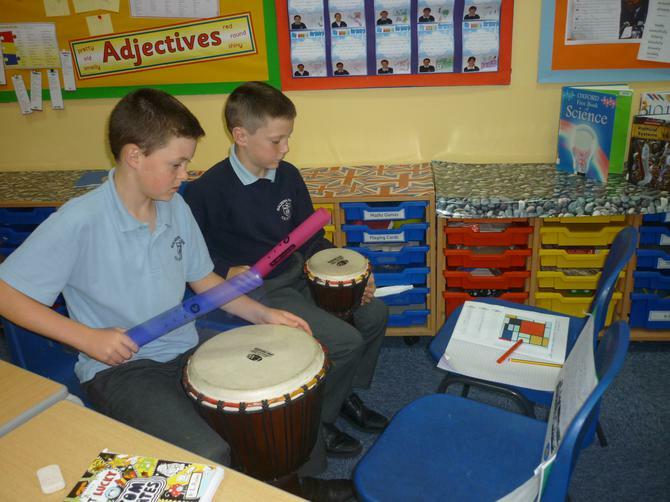 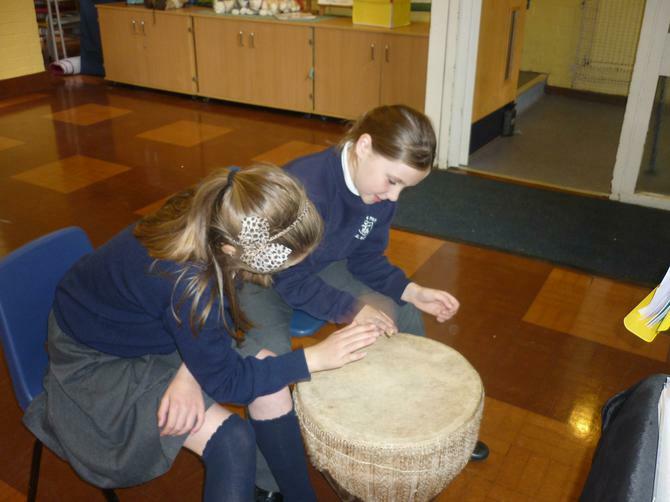 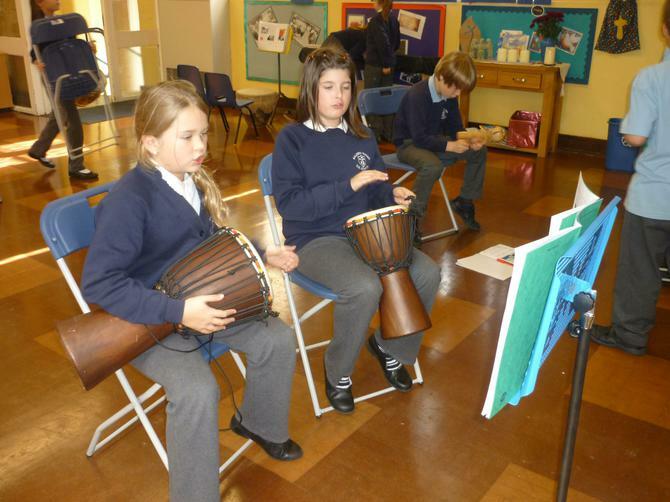 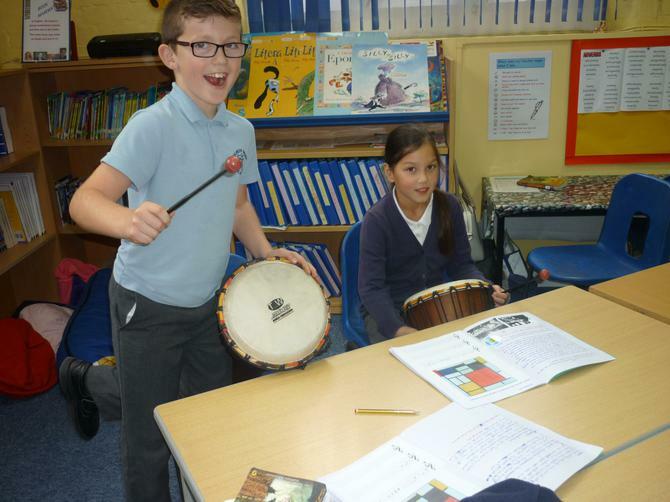 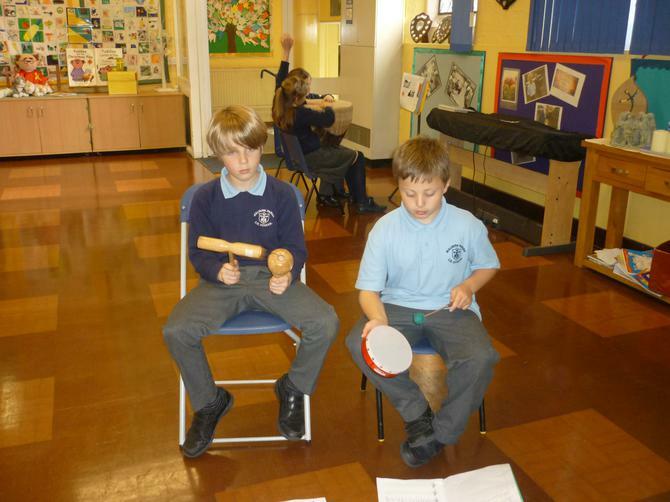 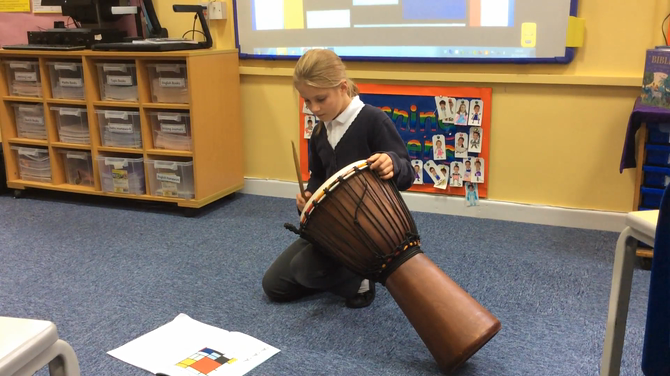 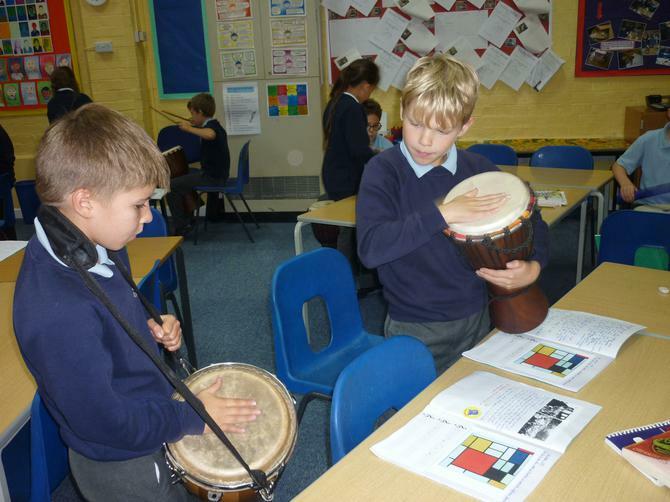 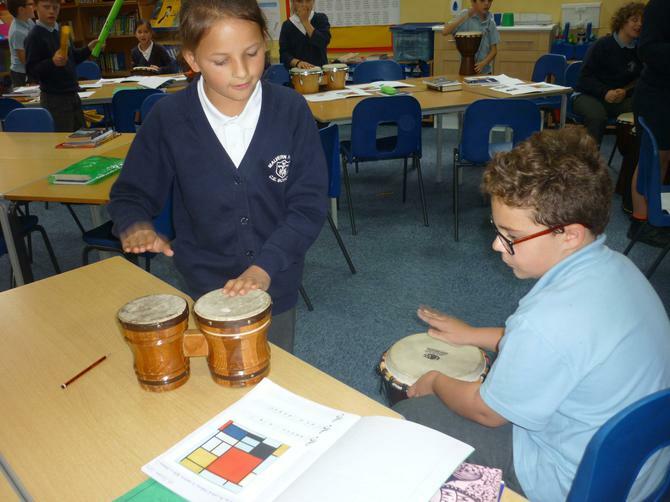 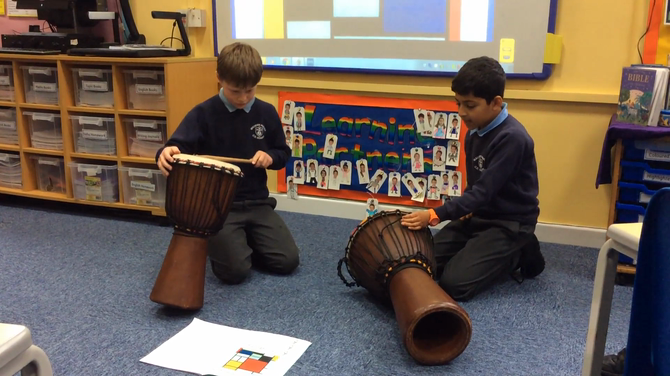 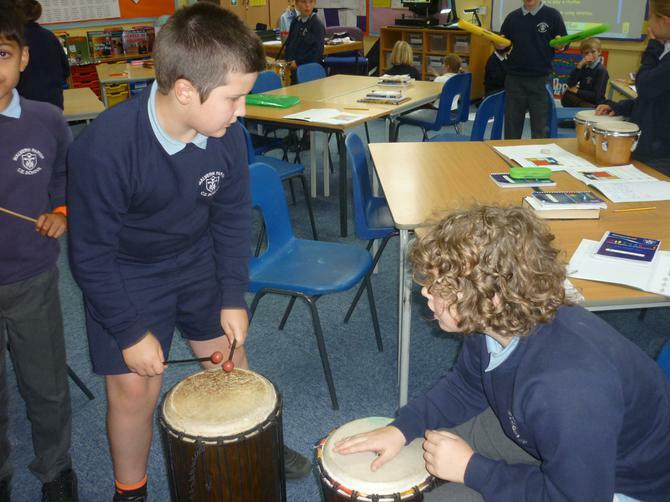 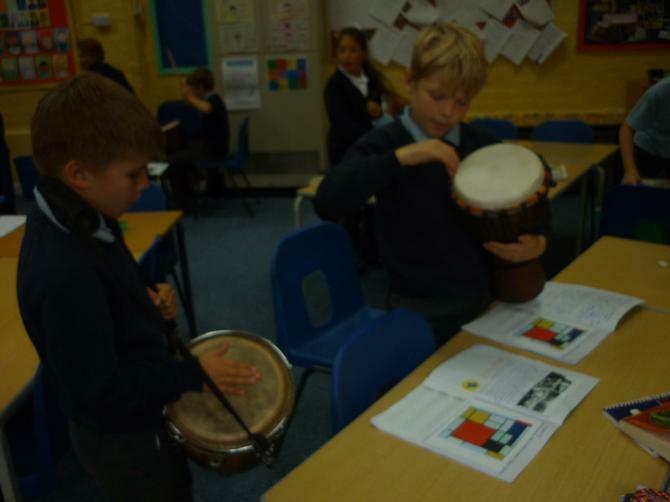 We then wrote our own rhythms using musical notation, rehearsed and performed them to the rest of the class.